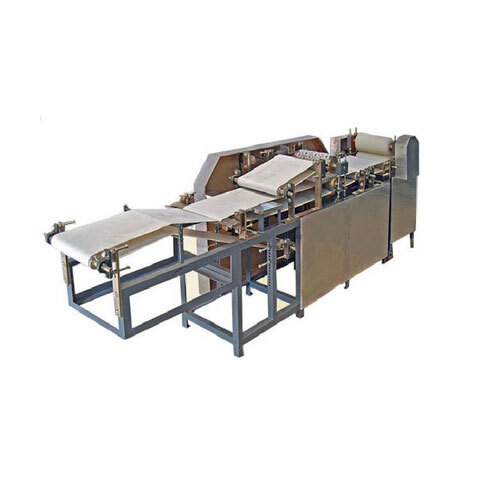 Bag Cutting Machine for Jumbo Bags find application in different packaging processes and come backed by latest technology support as well as use of quality tested components and machine parts so as to deliver optimum performance support in involved operations. 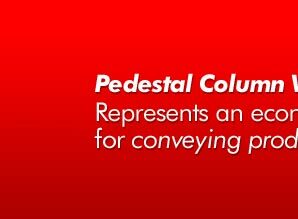 Being efficient in terms of usage, these also feature easy user interface and require low maintenance. 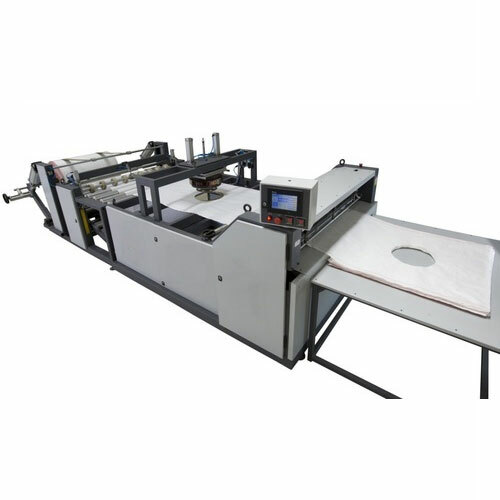 Some of the operational features of these machines include capability to handle processing bag width from 400 to 1800 mm and length from 600 to 9999 mm and delivering production output of 22 bags per minute. The other features include presence of fabric edge control web guide system, 3 HP, 3 Phase based operational power supply and others. These also allow easy replacement of rollers through pneumatic lift up provision. 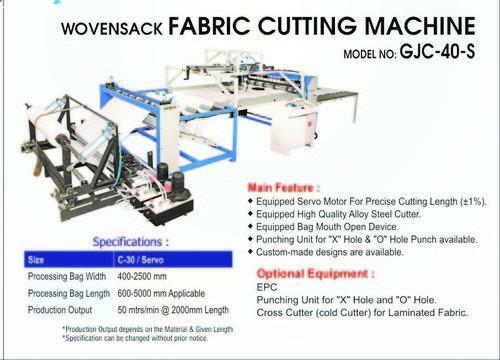 Under the hard working force and technologically-advanced production facility, we are offering a premium quality array of Woven Sack Stitching Machine. Our offered product is highly acknowledged among clients for its remarkable features. We offer this product in customized options at competitive price. 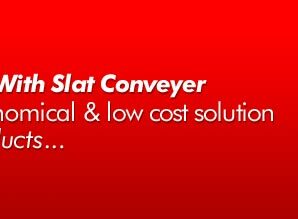 We are the leading supplier of Cement Bag Making Machine made available to our clients at competitive prices. 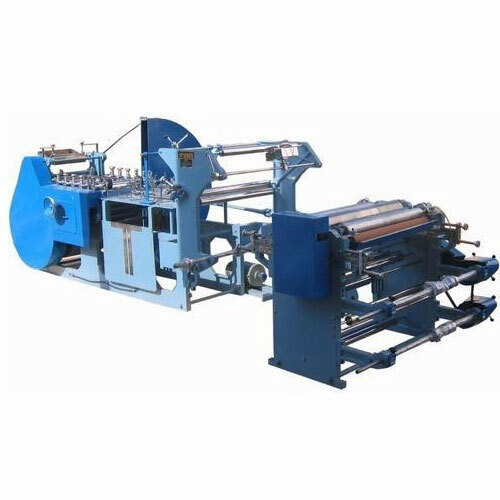 We are highly acknowledged organization engaged in presenting remarkable range of HDPE Fabric Cutting Machine.This machine adopts stepping motor control intercept fixed length.Our offered Cutting Machine is widely appreciated by our clients who are situated all round the nation. 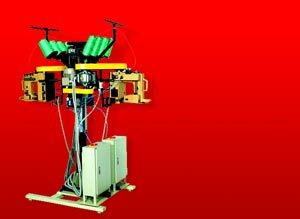 We are the leading supplier of Sugar Bag Making Machine made available to our clients at competitive prices. 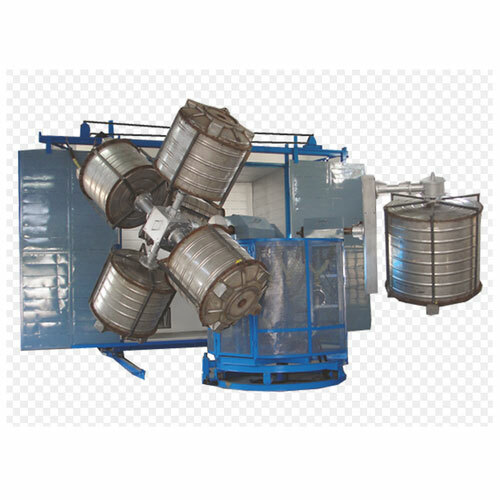 Relying on our vast industry experience and sophisticated facilities, we are engaged in offering quality assured range of Bi-Axial Rotational Moulding Machine. These are offered in varied finishes and capacity range of 10000 liters. 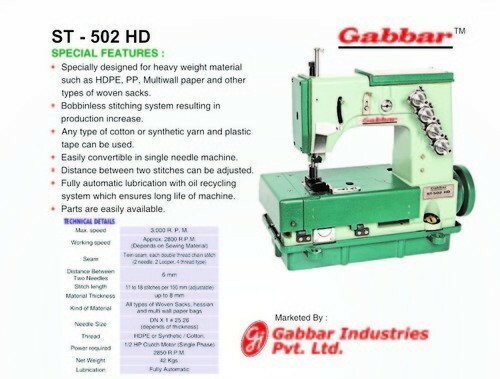 We also offer excellent installation and other after-sales services for these machine.